AMA News Blog - District officers and members uploading and sharing the latest news relating to AMA National activities, events, issues and concerns. Although we continue to ask the FAA to prosecute illegal drone operators, they do little to nothing. As a result when incidents occur, the true culprits never get identified and we the hobbyists continue to get blamed. Hobbyist who fly drones and are not members of a CBO are operating illegally and in violation of Part 107 just as the commercial operators mentioned in the following article. Illegal drone operators are flying under the radar, but what is the FAA doing about it? According toThe NY Post, not much at all. Since 2016, when the Federal Aviation Administration began requiring commercial drone pilots to obtain a license, the agency has only busted a single pilot for operating illegally — and even he got off with a gentle slap on the wrist, according to FOIA documents obtained by MarketWatch. Last year, Jeffrey Slentz was caught by a cop flying a drone over Kauffman Stadium in Kansas City, Mo., for a music video. The officer reported him to the FBI and FAA — but all Slentz received was a warning letter telling him to obtain a drone pilot’s license. Three other licensed pilots who violated FAA rules have been given warning letters or told to take a safety course at a local Flight Standards District Office, MarketWatch reported. Some licensed pilots are upset that illegal operators are getting off easy. “It’s annoying that other drone businesses are operating without a license and I have no competitive advantage,” said Flo Minton, a Florida-based photographer. Another drone pilot, Daniel Carnahan, said he’s reached out to the Kansas City Flight Standards Office three times to report a pilot who’s been breaking licensing rules, called Part 107. He believes that pilot has gone unpunished. Continue reading about what the FAA is doing about illegal drone pilots. AMA has partnered with the University Aviation Association (UAA) , the unifying voice for collegiate aviation education, to launch a joint UAS program for college students. The UAS4STEM Collegiate Challenge will encourage teamwork, competition, and success through a STEM-based education platform. 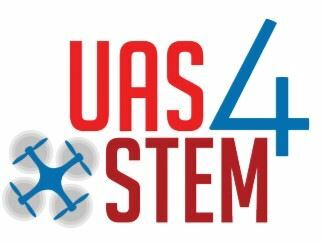 Much like the program currently available to high schools, the UAS4STEM Collegiate Challenge will provide university teams access to training, insurance, licensing, and equipment for the competition. The competitions will be held in spring 2018 at regional flying locations and hosted by AMA’s University Model Aviation Students Clubs (UMASC).